For Luke’s seventh birthday celebration, we let him plan the days activities. He started the day off at the the Hands On! Children’s Museum. After spending several hours there, it was time to grab a bite to eat. Since it was his day, we let him pick the meal. Without missing a beat he requested his favorite, Asheville Pizza & Brewing Company. This is truly a family-friendly brewery, and our kids love going there every chance they get! 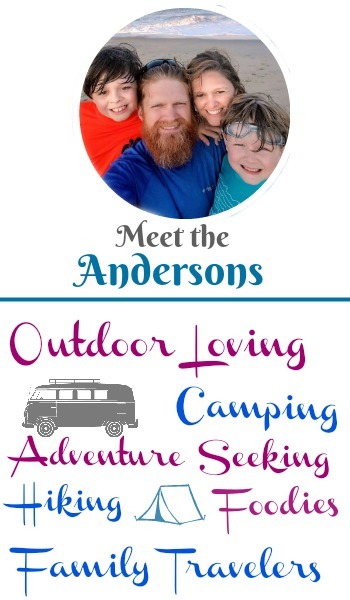 While there is an abundance of family-friendly breweries in Asheville, Asheville Brewing on Merrimon Ave. is hands-down a favorite with our boys. If the outside of the building doesn’t catch you’re attention, then the inside will. The walls are filled with classic movie’s like Star Wars, Raising Arizona, Star Trek. The tables, while eclectic are all filled with different comic strips and characters. This brewery location boasts a game room downstairs that even includes a bid screen tv, a movie theater where you guess it! You can enjoy delicious food and watch a movie at a very reasonable price and lately they’ve even included a classic Super Nintendo. 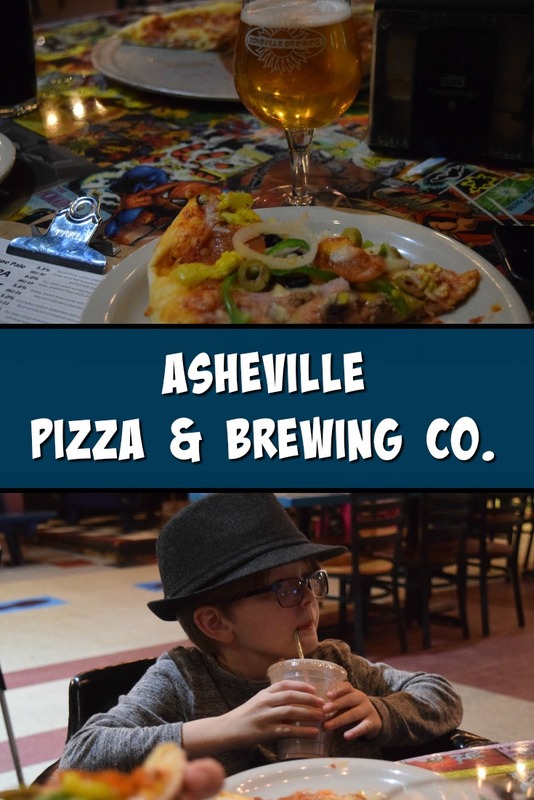 It’s hard to go wrong with any of the food available at Asheville Pizza & Brewing. We have tried everything from the full metal fries, quesadilla, burgers and pizza and have yet to be disappointed. For this visit, we did a round of pizzas. The boys decided on pepperoni and Ryan and I went with the Biltmore. The full metal fries are one of my favorites. When we are really hungry, we’ll get this as an appetizer. The Nachos and quesadillas are not to be out done either. You can’t go wrong with either. Zorba the Greek is one of my favorite quesadillas. This is the fun part for the adults. With the every changing selection you just never know what you might find on tap. Not one for adventure? That’s ok too, their flagship beers can always be found on tap. For this visit, I tried the Christmas Jam and the Draft Punk, both of which were fantastic! Ryan wasn’t feeling too adventurous and picked one of his favorites the Perfect Day IPA for starters and then decided that he would end with a Perfect Night IPA. Once again…outstanding. While I love the Ninjabread Man Porter, I opted to just bring a bottle home this year instead of getting it on tap.